If the inaugural “National Beer Expo” last weekend was a state, it would be Missouri. If it was a planet, it would be Neptune. If it was a car, it would be a Toyota Corolla. If it was in a band, it would play the bass. See, there’s nothing wrong with any of these. They’re just not the kind of things dreams are made of. Question: Who plays the bass in a rock band? Answer: The guy who is second best at lead guitar. Noel Redding was a great guitar player. But he played bass in the Jimi Hendrix Experience because, well, the other guitar player (that would be Jimi) was just a tad better. And there’s nothing wrong with a Corolla. It’s just not the car every girl hopes is in her driveway on the morning of her 16th birthday. Missouri is a fine state. But it’s probably not the dream vacation destination you are hoping for on your honeymoon. And Neptune? Need I say more. So the Capital Ale House National Beer Expo in Richmond, Va., was all of these combined. Yes, it was the Missouri-Neptune-Corolla-bass playing of beer festivals. There was nothing particularly wrong with it. It just didn’t make any distinguishing mark on the craft beer world … yet. The creators of the Expo seem to have an idea of developing a four-day event that celebrates the best in craft beer and the food that goes with it. That’s why, on every day of the Expo, various restaurants served special Expo-themed meals to pair with specially chosen craft beer. A sign outside On the Rox in Shockoe Bottom just east of Downtown Richmond. Hardywood Singel – I’m not a particularly big fan of Belgian ales, but this Belgian Abby-style blonde was quite mellow and easy to drink. It almost tasted like a lager (also not one of my favorite brews) but with more panache, like most blondes, I suppose. 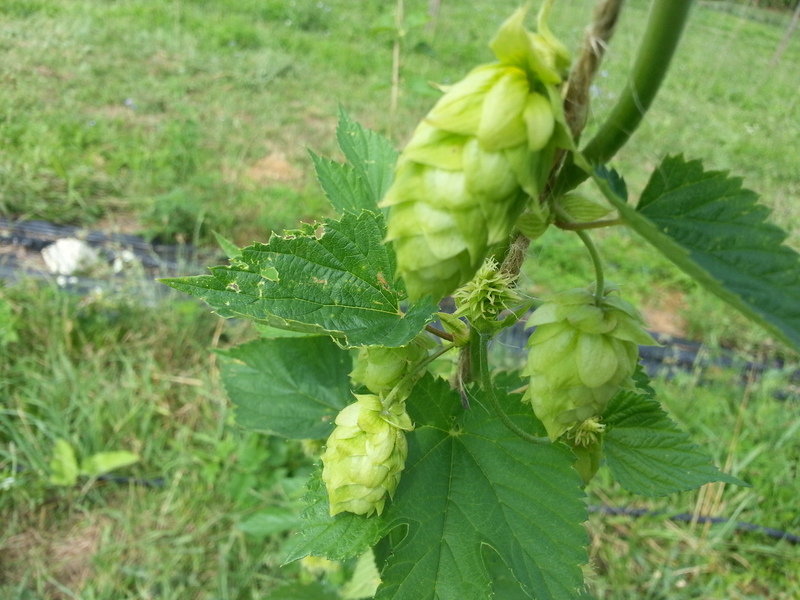 Hardywood Virginia Blackberry – Despite its name, this tasty beverage was not too fruity. The Belgian-style white ale actually drank more like a clean wheat beer, not too thick, with just a subtle hint of the blackberry used in its making. The only real giveaway of the berry-infusion was the cloudy, light purple color of the beer. 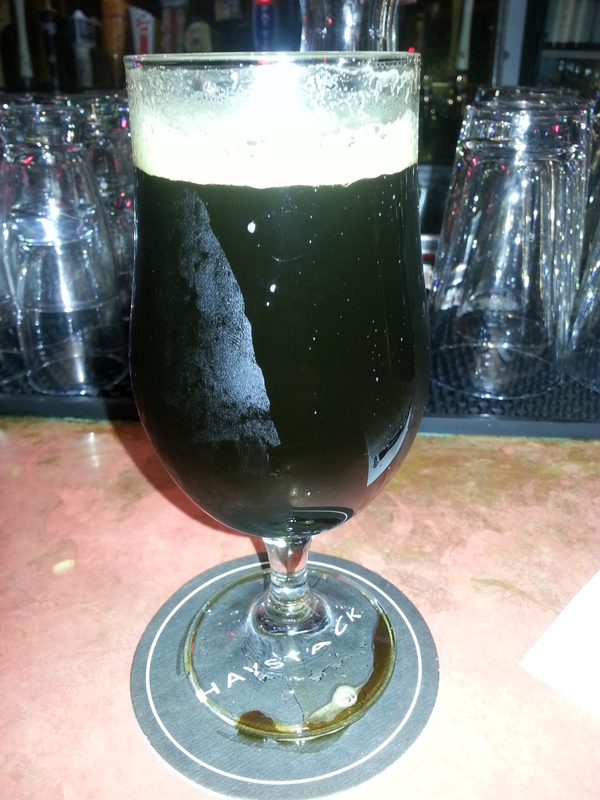 Hardywood Sidamo Coffee Stout – What could be better with brunch than a coffee stout? Apparently anything, according to my traveling companion. I, however, found this Russian Imperial stout to be the ideal drink while nibbling on my beer-infused sausage and my jalapeno-stuffed omelet. Hardywood RVA IPA – One taste of this highly hopped IPA and I was more than willing to make a trade for my partner’s abandoned stout. Not that the IPA tasted bad. At 62 IBUs, it wasn’t so earthy that I couldn’t drink it. But why waste an IPA on me when we could easily cut a deal and get what we like best. Teamwork. After brunch, we headed off to the Walk-Around Grand Tasting at the Richmond Convention Center. At it, a little less than 50 different brewers offered samples of their craft beers. Our strategy was to try beers from brewers that we’d never had before. That was the easy party. Finding beers that we’d want to drink on a regular basis turned out to be a much bigger challenge. Many of the highly-hopped beers that my drinking buddy prefers were, uh, not really drinkable. And because it was summer, the number of malty beers that I prefer was somewhat hard to come by. There were some unique efforts by some brewers, like the habanero-infused pale ale and the peppermint flavored nitro stout. But most were rather unremarkable. My favorites were the Mean Ole Tom American stout from Maine Beer Company and the Sweet Josie Brown from Lonerider Brewing. Both were wonderfully malty, with the offering from Lonerider the only brown ale in my book able to challenge Elle’s Brown Ale from Avery for overall brown ale excellence. On the other end of the beer continuum, my IPA-swilling friend preferred the SweetWater IPA from SweetWater Brewing Company and the Detour Double IPA from Uinta Brewing. Each provided hoppyness in a glass. Several craft brewers were on tap that we’d tried before, with the efforts from Blue Mountain Brewery the only one to hit both of our sweet spots with their Full Nelson Pale Ale and the Dark Hollow Artisanal Ale, an imperial stout, making it difficult for us to wander too far from their tasting booth by the end of the day. Unfortunately, the end of the day did come, and it was off to Capital Ale House, the sponsor for the whole shebang, for the after party. The highlight for me at the pub was the James Brown cover band known as The Big Payback (check out a sample of one of their songs on YouTube here). My traveling companion was fairly happy with the beef, lamb and veal sliders that were complimentary to all post-tasting attendees, though the passed hors d’oeuvres didn’t really constitute much of a meal for me. In the program introduction, the event organizers said their vision for the National Beer Expo is to create a signature, national event for craft beer and food that makes everyone in the craft beer industry proud. 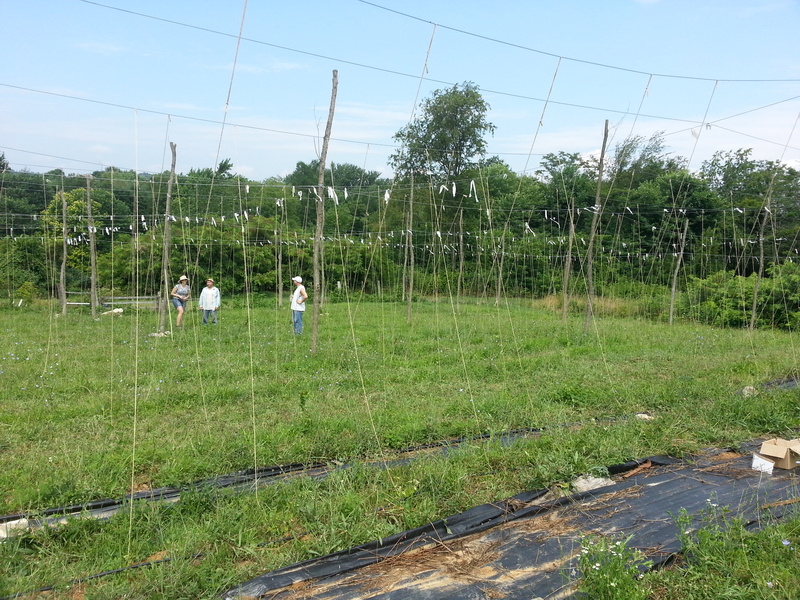 To be fair, we did not attend most of the options made available over the four days, such as the multiple brewery tours, the numerous restaurant special meals, nor the seminars on everything from how to pair craft beer with goat cheese to how different hops affect the flavor of the IPA. So there may be much more for us to explore, and partake in, at next year’s event. And even though this particular festival was more like a drive through Kansas City in a Corolla than a trip down the Pacific Coast Highway in a Mustang convertible, it was a decent effort. Here’s hoping the organizers learned a great deal that will allow them to trade in their Toyota for an Audi. 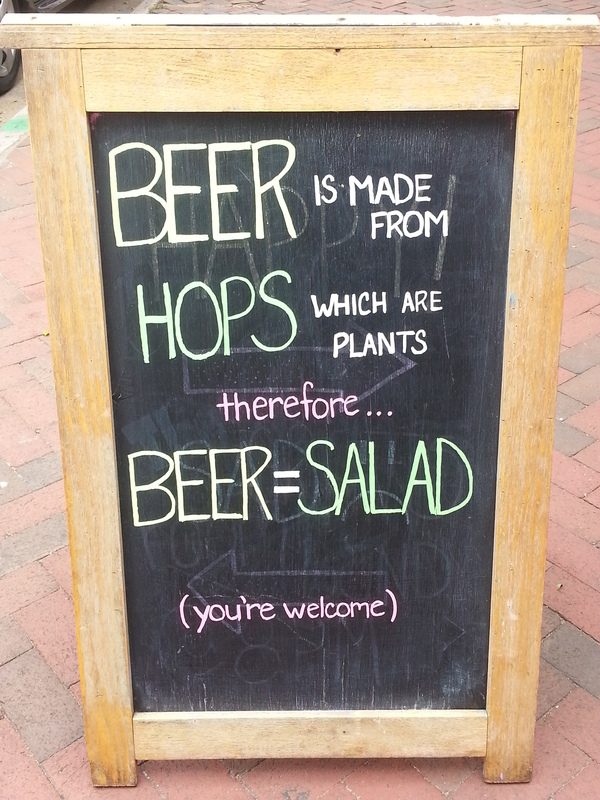 This entry was posted in Beer related. The fact that the beer festival had an entry on its website for “Dress Code” was rather unusual. And the description of what to wear – “chic, smart, or comfortable casual” – was somewhat confusing. But some of the choices attendees made were downright strange. So here’s a snapshot of the best and the worst from the National Beer Expo last weekend in Richmond, Va. Pink Floyd prism as a beer can and the words “Wish You Were Beer” – Please ignore the fact that Pink Floyd’s album “Wish You Were Here” is not the one with the prism on the front. Details, details. 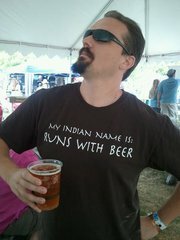 Saw two shirts that said “My Indian Name is Runs With Beer” – Mom, how do Native American’s get their names? Why do you ask, Two Dogs F%&#$ing? Pain white T that simply said “I Know the Muffin Man” – Yes, but do you know where he lives? At least three shirts had “My bucket list includes: 1) ice, 2) beer” – ‘Nuff said. The guy in the red pants with red tennis shoes wearing a red-and-black Taylor Swift concert T-shirt – You’ve got to be comfortable with your masculinity to hang out with beer drinkers in that get-up. The guy wearing the “Top Gun” T-shirt – OK, we get it, you’re into fighter jets and military heroes. But why did you choose the shirt with a picture of a bare-chested Val Kilmer playing volleyball? Viking helmet complete with horns – It was funny when two guys showed up wearing them. But then we soon realized there was a vendor on-site selling them, and 115 people wearing Viking helmets isn’t nearly as funny … until the horns started falling off. My team (which consists of two) wore matching grey T-shirts that said “Craft & Growler Filling Station – Dallas, Texas” on the front. We were chic, smart, and comfortable casual. There’s a four-day National Beer Expo taking place in Richmond, Va. that started on Thursday and ends on Sunday. Today we’ll be starting off with Flapjackass: The Craft Beer Brunch on the Rox from 10 a.m.-2 p.m., followed by the Walk-Around Grand Tasting from 2-6 p.m. We’ll finish up with the Expo After Hours party at Capital Ale House, the title sponsor of the whole shebang. I’ll post details about great beers we taste and any burgers we run across worth mentioning in a couple of posts next week. I’m to blame. It’s true. I’ve been a fan of Dutch football since I began playing soccer as an 11-year-old in the 1970s. Back then the U.S. national team was practically non-existent, while the team from the Netherlands, from whence my ancestors departed so long ago no one in my family remembers, was so good I immediately glommed on to Total Football. While I do cheer for the USMNT faithfully, I must admit my heart is with the Dutch boys. So naturally, last Saturday we had to suspend our vacation and find a pub from which to watch the Netherlands play Costa Rica in the World Cup quarterfinals. Fortunately, Max’s Taphouse in the Fells Point section of Baltimore was happy to oblige. The stout that helped the Dutch to victory over Costa Rica in the World Cup quarterfinals. A Max’s bartender, seeing me in my oranje KNVB football jersey, recommended that I try the Emelisse espresso stout, a coffee-based beer from the Netherlands. It was just as the extra time was ending, and the game was headed toward a penalty kick shootout. Now, anyone who follows Dutch football knows the boys from the Netherlands never fare well when it comes to the PKs. I still have nightmares about the semifinal game they managed to give away in the European Championships in 2000 … on home soil. So needless to say, I wasn’t thrilled to see the game go to penalties. But then I tasted the Emelisse espresso stout. It was delicious. While it’s listed as a coffee-infused beer, it smelled and tasted more like a bourbon-barrel aged style. Its dark color and tan head, while it lasted, made for a nice appearance. It was smooth and easy to drink, despite the liquor flavor slightly overpowering the taste of coffee. More importantly, as I sipped this delicious concoction, the players for the Dutch team slipped perfect penalty kicks past the helpless Costa Rican keeper to win the PK shootout and advance in the WC. And that leads me to that semifinal game against Argentina. Once again, I was wearing my KNVB jersey. And once again, the game was scoreless after extra time and went into the penalty kick shootout. For once, I was feeling confident. But … I didn’t have an Emelisse espresso stout, nor any beer from the Netherlands, to sip on while the PKs were taken. Alas, the Dutch boys found a new way to lose in the shootout. One can only conclude, therefore, it was because I didn’t have the right beer in front of me. The lesson here? Choose your beers wisely, because it does affect how your favorite team plays. What Makes a Good Burger Joint? My quest for the best burger joint started more than 10 years ago when my go-to place in Dallas (my hometown) changed its burger recipe. And if messing up the best tasting burger in the city wasn’t enough, the restaurant also changed its queso, salsa and guacamole. What used to be a slam dunk order – Swiss burger medium rare with chips all three, please – was forever quashed. It cut me to the bun. So the quest began. But first, I had to determine what makes a great burger joint. Keep in mind I’m looking for the best place to eat burgers, not necessarily the place with the best burgers. In fact, burger quality is only half of the grading system to determine the best burger joint. But it is 50 percent. For those interested in starting your own quest, or want to join me in mine, here’s how to rate a burger joint. Just remember that eating at a great burger joint should be a holistic experience. Can you get it cooked to order? In other words, can you get it medium rare, and does it show up medium rare. Most places will allow you to request it cooked any way you want. Few actually deliver. Can you get it made to order? That is, can you order it with or without cheese, toppings, sauces, condiments, etc.? For me, I always need the option to ixnay the mustard. Appearance – Any top chef will tell you that presentation is key to a good meal. And while top chefs don’t typically work the kitchen at a burger joint, how the burger looks when it arrives does matter. A cook who takes pride in his work will want the burger to look great. Bun quality. Consider the following: Is it too hard or soft? How does it taste? What’s the bun-to-burger ratio? If it has seeds (sesame, poppy, etc.) do they serve a purpose beyond getting stuck between your teeth? Too many burger places overlook the importance of the bun. Does it taste good – do you get good burger flavor? Your taste buds should be in heaven. And in the future, your mouth should start to salivate every time you think of it. Are there other items on the menu besides burgers, and are they any good? Not everyone in your group may like or want a burger. Check for a marinated chicken breast sandwich or something similar. How’s the beer list? 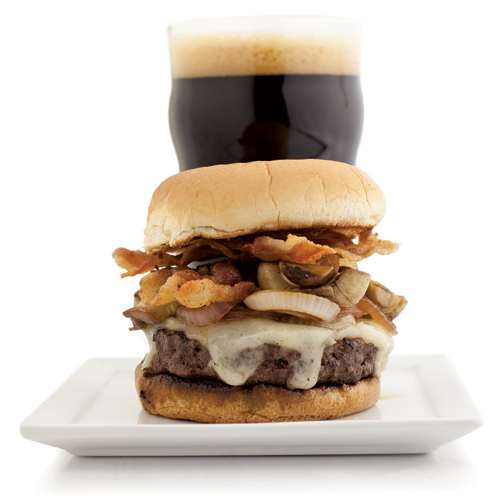 Variety and quality of beer makes for a better burger experience. Good frozen margaritas can work in a pinch, and will probably be the favorite of the non-burger eater in your party. Is there outside seating? Americans love to eat burgers outside. That’s why we stand over a 250-degree grill on a 110-degree day every 4th of July. But there’s nothing better than a burger joint with a patio or deck. A cool bar to at which to sit is a good substitute. What side dishes are available? Fries are a staple, and therefore a must-have. But top-notch homemade chips can make a good burger experience a great one. Perhaps the restaurant has a signature side, like mac ‘n’ cheese, baked beans, or pig knuckles. Ambiance – this includes everything from the music (‘70s and ‘80s pop seem to work well in burger joints), to the table comfort, to cleanliness, to service. If all are strong, give at least a 20 percent tip. The reason? If you ever go back, the staff remembers the good tippers, and you’ll get an even better experience. Rate each item on a 10-point scale, then add it up. Any place that scores more than 90 is an A-level burger joint. Just let me know where it is so I can meet you there next time.